In a beautiful small garden located in one of Eilat's most veteranneighborhoods, Pedro restaurant resides for over 17 years. Recently it wasrenovated, originally designed and culinary upgraded. Pedro is a chef restaurant devoted to provide a perfect culinaryexperience. The restaurant's spécialité is fresh high quality meat aged on thepremises and a rich diverse wine list. Chef Tal Hershkivitz who runs the kitchen shows its diners somefascinating culinary experiences: goose liver in pears and ginger, artichokefillet, rump with polenta, bresaola and more. Pedro also offers selected meat and steaks brought from the GolanHeights, such as Porterhouse, New York cuts, Chateaubriand, Butcher's cuts andothers. In Pedro, the kitchen staff bakes warm focaccias from scratch aswell as surprising homemade desserts. 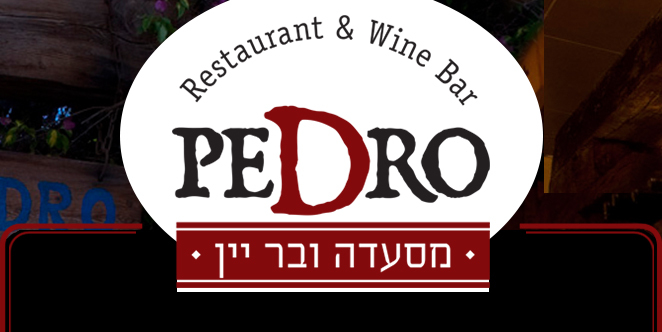 Pedro restaurant is the only one in Eilat to include a wine bar,featuring a large selection of fine labels, such as wines made by local winemakerUri Shachar's Red Sea Winery which serve as Pedro's house wine. With it, atapas selection is offered. Pedro can host up to 90 diners at a time, while additional 50 canenjoy the restaurant's lovely garden, in unique gourmet events andcelebrations. Come enjoy our seasonal specials and deals!